The love of your life just proposed! You are overwhelmed with happiness and are thrilled to begin your happily ever after. You immediately turn to Pinterest for inspiration, but the more you pin, the more you realize there is so much planning that goes into a wedding. It’s true, weddings can be both the happiest moment of your life, and the most stressful. But that does not mean you need to worry about EVERYTHING. Here are some common things brides worry about but do not need to at Nazareth Hall. You know you say “I Do” at the ceremony, and then eat food at the reception, but when should your ceremony start? How long does it take? When do you take pictures? What is an introduction? When are you suppose to cut cake, or have toasts, or have a first dance? The list of questions goes on and on. Here at Nazareth Hall, you are not alone. At your planning meeting, a sales coordinator will sit down with you to create a timeline just for your event! We are in North West Ohio. Notoriously known for its weather changes. 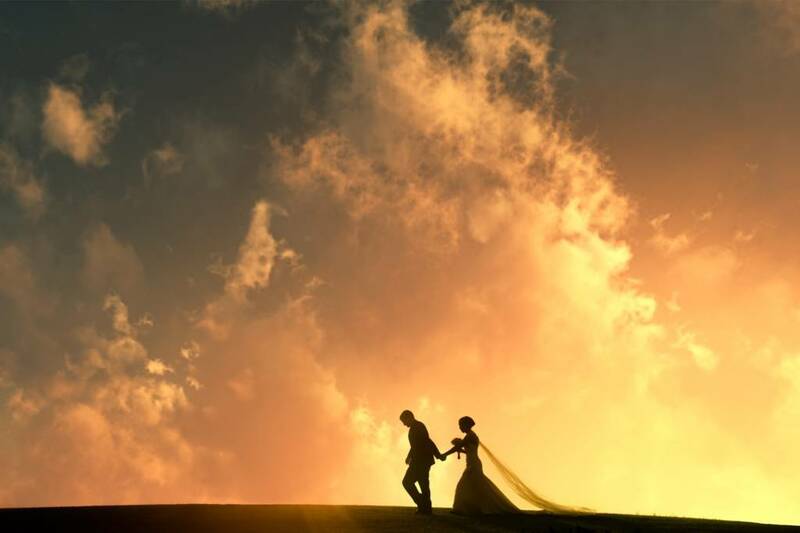 Predicting the weather for a specific date a year away is impossible, and many brides worry that the rain will come and make the beauty of their day go away. First off, rain, snow, or shine your wedding will be beautiful! And wedding photos in the rain can be GORGEOUS! None the less, if you have an outdoor ceremony Nazareth Hall has back up ceremony locations! Our coordinators work hard to make your wedding day perfect, regardless of the weather! You know you want a cake table, gift table, memory table, but you do not know where it will go, and if it will fit. 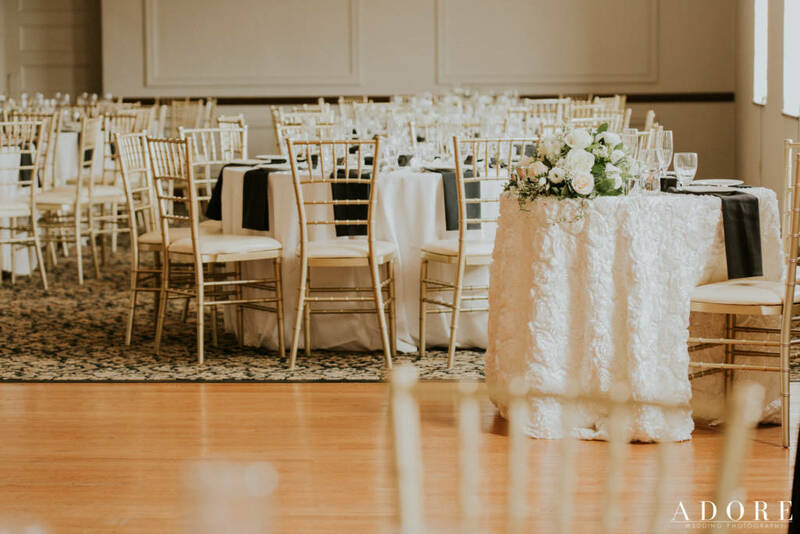 Our coordinators know our ballrooms and ceremony locations, and have multiple layout possibilities for you. During your planning meeting your coordinator will work with you to create the best layout for your space, and you will get to see what the layout will look like! Best part, adjustments can be made at any time! There are many venues out there that make you set up your own room. Here at Nazareth Hall, we take care of all that for you. You design, we apply. No need to wake up at 7 am the morning of your wedding to move tables around, our staff works hard setting your room up for you. Linens, tableware, chairs, and sashes are all taken care of. All you need to do is decorate. So relax, and sleep in. Want specialty table cloths, napkins, or even sashes? It can be a hassle ordering them, removing them after a reception, then returning them to a vendor, and honestly it’s just one more thing you shouldn’t have to worry about on your big day. Nazareth Hall takes care of all the specialty linens. Just pick out what you want and we take care of the rest. Are you worried grandma cannot make it up the stairs to the chapel, or down the hill to the Grotto? Have no fear! Nazareth Hall has an elevator to take guests to the second floor, and a ramp to get into the chapel. 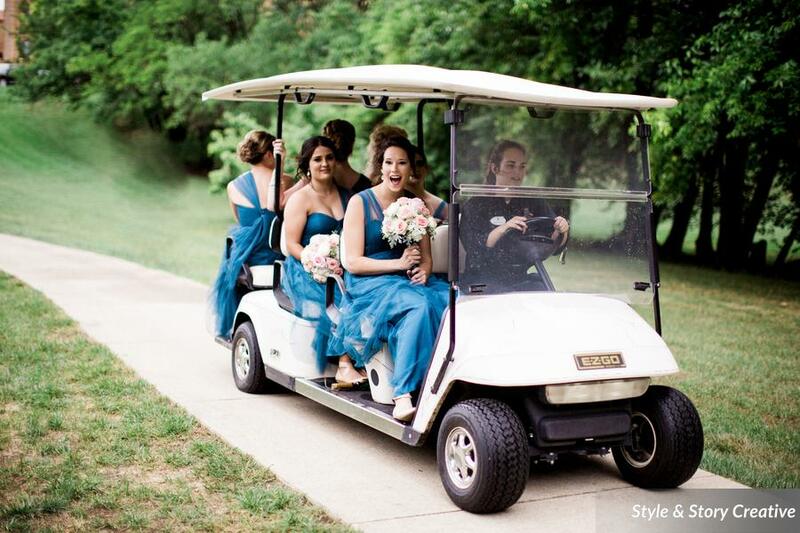 For Grotto weddings, we have a staff member shuttle guests back and forth to the Grotto on a golf cart. We worry about your guests’ needs, so you do not have to. We’ve all had that nightmare. It’s your wedding day, it’s time to walk down the aisle, but no one knows what to do. All though a common fear for brides, it’s an unnecessary fear here at Nazareth Hall. Every ceremony has an hour-long rehearsal the day before your wedding! Get your family together and practice for your big day! Need dinner after? We can also cater your rehearsal dinner! These are just 7 things you do not need to worry about. Our next blog will focus more on event timelines and event staff!